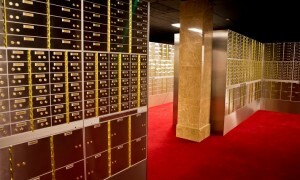 Do I need a Safe Deposit Box? When I meet people and inform them that I am involved in the Safe Deposit Box business, I usually encounter responses such as „What requirement would I have for a Safe Deposit Box?“ or “ I have nothing of value to store in a Safe Deposit Box?“ or „I have a house alarm and a Safe at home?“. Have there been burglaries in your area in recent times? Have you items at home that are irreplaceable in the event of a home fire? Are you away from your home for extended periods due to work or holidays? Is your home contents insurance premium significant as a result various specified items on the policy? Have you cleared your mortgage and hold the title deeds? Are you worried about the Banks and what if there was a Cypriot style bailout? Are you a business owner who stores large amounts of cash at home? I will now expand briefly on each of these questions. Have there been burglaries in your area in recent times? According to the Central Statistics Office, the number of burglaries are rising every year. The likelihood is that someone living close to you has been a victim. In addition, aggravated burglaries have been on the rise in recent times. Talk to your local crime prevention officer at your local Police Station. Have you items at home that are irreplaceable in the event of a home fire? It is only when you sit down and ponder this question that you can get the answer. Maybe you have old photos / videos of family that are not backed up on a memory disc or you do not have copies made of them. Have you jewellery that has been passed down through the generations? Or maybe a relative’s military medals or other family heirlooms? Are you away from your home for extended periods due to work or holidays? Do you travel a lot with work? Are you retired and spend the Winters in sunnier climates? Are you planning a cruise? Quite a number of people leave their jewellery at home when going on holidays. Is this jewellery insured if you are not wearing it or it is not in a Safe? Is your home contents insurance premium significant as a result of numerous specified items on the policy? Have you several items of jewellery insured and specified on your policy? Do you wear all the jewellery at once? If not, should you store the items you are not wearing in a Safe Deposit Box? Your home contents premium will drop significantly if you inform your insurance company that these items are now stored in a Safe Deposit Box when not being worn. Have you cleared your mortgage and hold the title deeds? If your mortgage is cleared, where are the Title Deeds stored? Most Banks no longer offer a safe keeping service. Did you know that it can cost several thousand Pounds to have Title Deeds replaced? Not to mention the hassle and inconvenience caused. Are you worried about the Banks and if there was a Cypriot style bailout? In the event of another financial crisis, could the Banks be vulnerable? In Cyprus deposits over €100k were taxed significantly as part of an IMF bail out. Should you store a portion of your cash in a Safe Deposit Box as a hedge against a Banking collapse? Are you a business owner who stores large amounts of cash at home? Do you own a business where cash is used as payment? e.g. restaurants, pubs, small shops etc. Do you bring this cash home with you from time to time? In recent times, business owners have increasingly been the target of aggravated burglaries. 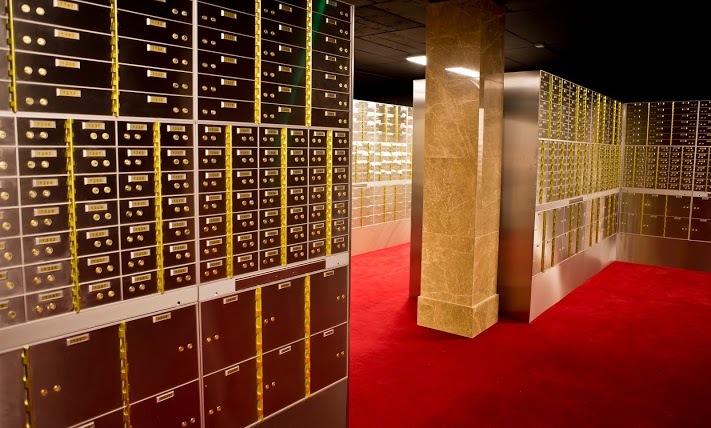 Having answered these questions, you are now in a position to decide if you need a Safe Deposit Box with Frankfurt Vaults. From only £150 per annum, your valuables can be securely stored providing you with additional Peace of Mind. Top Tips for Insuring your Valuables and how to Reduce your Insurance Premiums.